A beautiful park and beach tucked away in the northern part of Singapore; brought back many memories for me when I joined fellow photography and heritage friends Jerome, Juria, Kamal and Francis for a photography walkabout at the Sembawang Park and Sembawang Beach area. Jerome had organized a few different photography walkabouts of different heritage interests. I was happy to join him for a few walks to explore more of Singapore’s heritage, history and culture together with like-minded people. Walking at Sembawang Park, down the beach and walking along it. Enjoying the sea breeze while it was low tide, the call of the wildlife nearby the green lush forest. Listening to the waves coming in towards the shore, the peace and tranquility that make the Sembawang Beach something special. 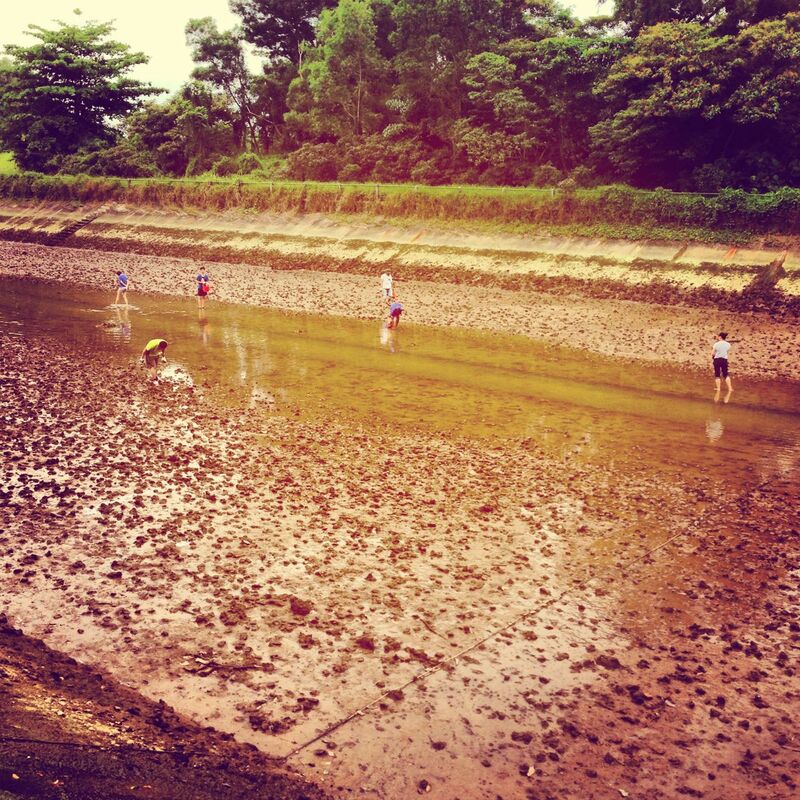 Sembawang Park and its beach is a popular spot for families to go fishing and catching crabs. Besides, it’s also a fun place for family outings and picnics too. This location was very nostalgic for me too, when I was a Boy Scout 20+ years ago, this was where we stopped for a exploration/hike test. I remembered that time there were three of us and I was there to be a companion to my friend who was taking his Advanced Scout Standard exploration test that lasted 2D1N. The memories were priceless and I missed those days! 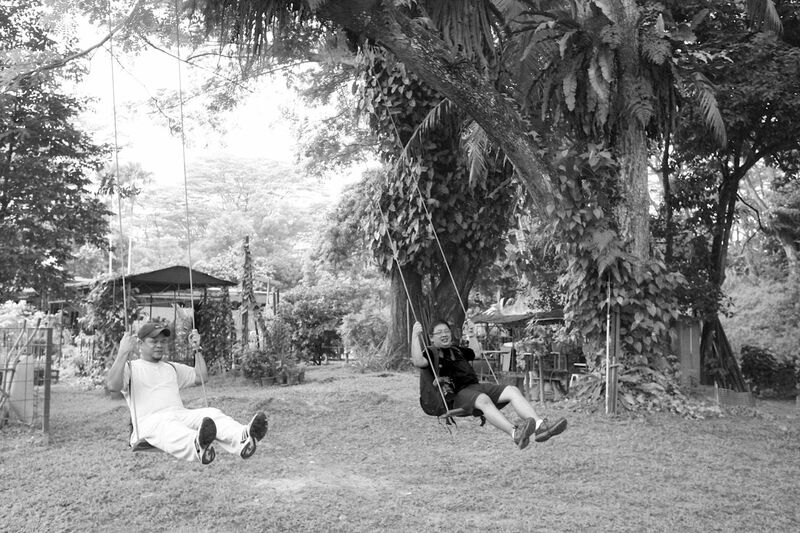 Jerome and Kamal had many experiences and stories about the Sembawang Park/Beach and Kampung Wak Hassan beach area since they grew up in the neighbourhood. Listening to their stories was really amazing and intriguing. They have so much to share their stories with the future generations about the lifestyle and culture in the early days of Singapore’s independence. With modernization taking place around Sembawang Park/Beach and Kampung Wak Hassan area, more private housing units coming up, things would never be the same again. Walking up towards the green lush forest in the Kampung Wak Hassan area, Kamal showed us an old gateway and told us about passing by this gateway when he was in Primary School. 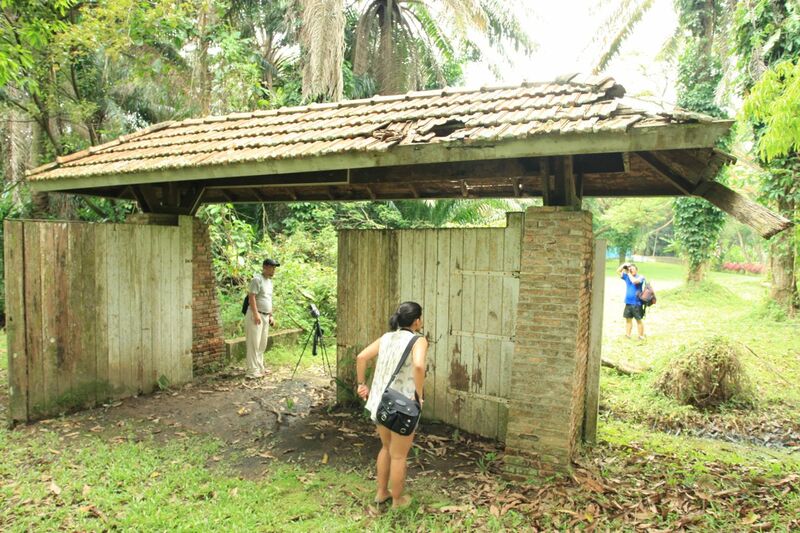 We saw the old gateway and were amazed, it was still standing there, yet there were no signs or indications that would help us find who was the owner that stayed there. After taking photos, we walked towards the mosque Masjid Petempatan Melayu Sembawang, a historical landmark dating back to the 1960s, it’s probably “the last kampong mosque in Singapore” and let’s keep it this way, preserve the greenery and surroundings. There were two swings tied to the tall trees nearby the mosque and we were like a bunch of kids again, playing on the swing. Jerome, Kamal, Juria and myself couldn’t resist not playing on the swing. It was so fun, my childhood memories flooding back to me, I missed my old childhood playgrounds a lot, that’s why one of my personal projects was discovering and photographing old playgrounds in Singapore. Hiking along the road towards Sungei Simpang, the river/canal, there is a park connector nicely built there. Watching the people at the river/canal bed during low tide and digging clams/mussels (I used to do it with my fellow Venture Scouts! ), there are still people enjoying the activities that I seen less nowadays. I still remember camping with my fellow Venture Scouts at the mangrove swamp near Jalan Mempurong, where the current Simpang Kiri Park Connector lies. We used to play at the canal during low tide and it was great fun, carefree and without the stress and pressure of today’s society. 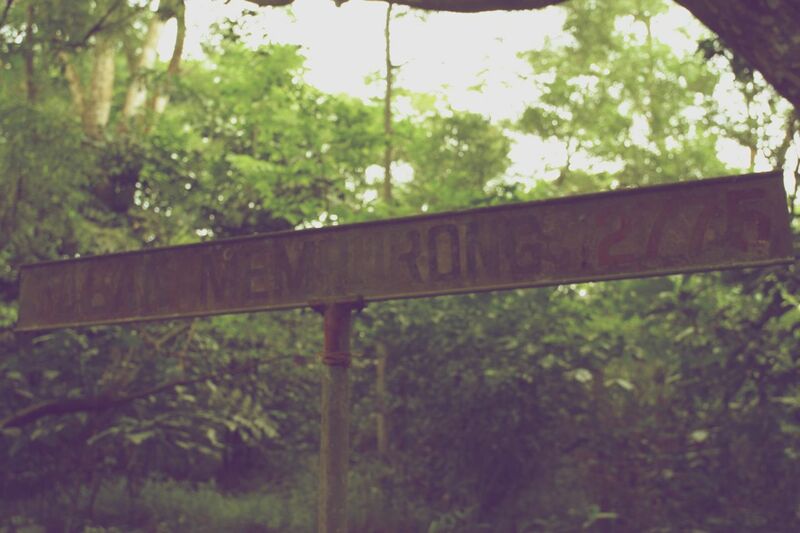 As we walked back along the road towards the main road and Sembawang Park, we passed by one of the few remaining street name signboards with 4-digit postal code in Singapore. That’s priceless, considering the modern street name signboards don’t have the postal code on it anymore. Reaching Sembawang Park, Jerome and Kamal led us to discovering the roots of Sembawang Park being part of the British Naval Base during her early days. While we can see some changes happening to Sembawang Park, let’s hope they still can keep most of its original aura and uniqueness, along with her lush greenery and kampong feel. Let’s keep it this way, status quo and preserve something uniquely Singaporean, culturally and historically. We will have our own unique strong heritage and stories to pass on to out future generations of Singaporeans.